If you thought the cold weather meant staying in your apartment all winter, we've got news for you! East York has countless options for our residents to have fun while staying warm and close to home. We've put together a list of what we think Preston Apartments' residents will enjoy most this season. There is no activity better suited for our Canadian winters than ice skating. East York has a number of ice rinks offering free skating. If you prefer indoor ice-skating (the warmer option), check out The East York Memorial Arena (888 Cosburn Avenue), offering free public skating during designated hours. You'll want to visit this arena on March 5th for City Councillor Janet Davis' Annual Skating Party! If you prefer to skate outdoors, Dieppe Park (455 Cosburn Avenue) is another popular choice. Before planning your trip, be sure to confirm your ice rink's "drop-in program" schedule. If you missed winter registration for The East York Community Center (1081 Pape Ave), not to worry! The center accommodates drop-in programs all winter long for a low entry charge of $3.50. The fitness center and swimming pool are available nearly every day for drop-ins. If you're above 18 years old, you're welcome to join drop-in games of basketball, soccer, volleyball or carpet bowling. Click here for more information on drop-in program activities and schedules. Room escape adventures have recently become all the rage in Toronto. Room escape games make for an engaging and interactive activity on a day better spent indoors. Round up your most clever buddies and test your team's mystery solving wits at Looking Glass Adventures (2200 Danforth Ave). You and your team will be set in a room full of hints and clues, with one hour to crack the mystery and escape the room. Click here to find more information on pricing and tickets. Get your jump on at the Skyzone Indoor Trampoline Park (45 Esandar Dr), another must-see spot in East York. Mixing fun with fitness, Skyzone is the world's first ever indoor trampoline park. In addition to bouncing in the Main Court and Foam Zone, courts are also available for trampoline dodgeball and dunking. If you want to save a couple dollars, head over during their special $10 Tuesdays between 4:00pm-9:00pm. You'll find more information on pricing and promotions here. Take a slide down the kid-friendly hills at East Lynn Park (1949 Danforth Ave) this season. Recommended by BlogTO, this park is part of the "Top 20 Toboggan Hills in Toronto!" If you don't have a toboggan, not to worry. 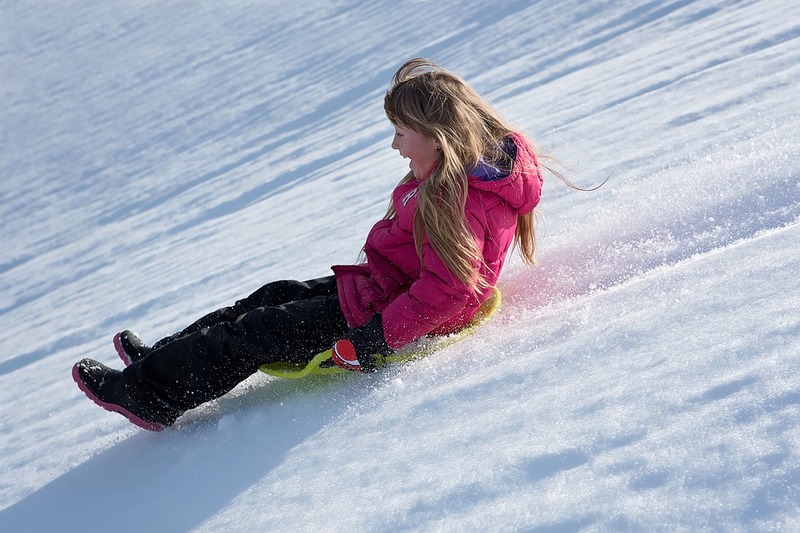 Check out these DIY tips on makeshift toboggans to hit the slopes with on a milder winter day. Who says winter can't be fun? There you have it, folks! You don't have to venture very far to see East York is the place to be this winter. Renting an apartment in East York sure does have its perks. Don't forget to show us how you've made the most of your winter by sharing photos to our Facebook and Twitter!